Christ the Redeemer is a monumental statue located in Rio de Janeiro, Brazil. 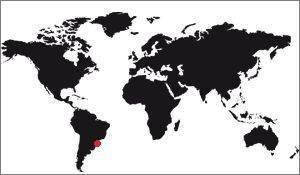 It is the symbol of the city and, beyond that, of the whole Brazil. It is also a symbol of Christianity among the most important of the World. Christ the Redeemer is also an important tourist destination, with 600,000 visitors a year. It was first imagined in 1850 by a Catholic priest, but this project was born in 1920, when a petition of support was initiated for the construction of a Christian statue. Once the style was chosen, construction began in 1922, and took nine years to be completed. Today, Christ the Redeemer is one of the seven new wonders of the world, a title recently given to 7 world monuments to reflect the list of 7 ancient wonders. It is also the most famous monument in Brazil, and its symbole, such as the Statue of Liberty is for the United States, the Eiffel Tower for France, or the Taj Mahal for India. 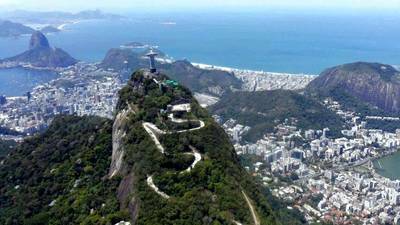 Today the Christ of Rio, or the Corcovado as it is called more frequently, is a monument very visited, it is among the most visited monuments of Brazil. To get there you have to go early and buy your tickets in advance on the Internet. The menus below will give you more explanations on this monument depending on what you want. This statue has an astonishing diversity of name. Formally known as "Christ the Redeemer", in Portuguese "Cristo redendor", it is better known as "Christ of Rio" or "statue of Rio", proof that in the imagination of the peoples, Rio has only one statue recognizable among all. 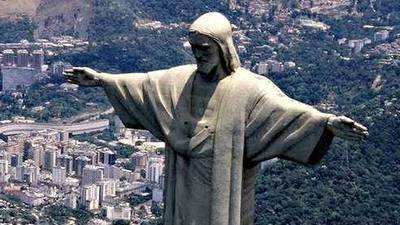 To speak of the statue of Rio is to speak of the redeeming Christ, point. Even if the city contains thousands of other statues. Located on Mount Corcovado, it is naturally called "Christ of the Corcovado", "Statue of the Corcovado" or even "The Corcovado", whereas this name designates the mountain on which it is, not the statue itself. It's a bit like being called "Montmartre" the Sacré Coeur de Paris! This website has chosen to use its official name, "Christ the Redeemer", but other names are sometimes used too. It was made by Heitor da Silva Costa. But this simple phrase masks the real actors of the project, because some attribute the name of Paul Landowski, a French, to Christ the Redeemer. So who actually built it? Well it's a bit complicated. 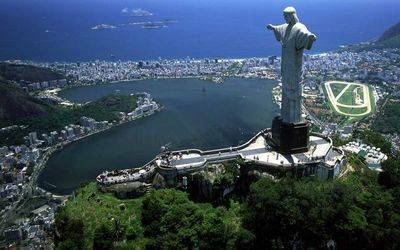 In fact, when Brazil launched a competition for the erection of a statue of Christ on Mount Corcovado, it received several answers. The winner was Heitor da Silva Costa, who had presented the statue of a standing Christ holding a long cross in one hand and a globe in the other. But his project was unsuccessful, he did not know how to build it or what material to use. During the years of preparation he had to call on several people to help him, but it is clear that all these people did more than help him: They did the job. Thus the statue has been completely redesigned, its current form, with arms crossed, and its purified style is by the artist Carlos Oswald. Then the model was made by Paul Landowski, a Frenchman of Polish origin, master in Fine Arts. He worked on clay but at real size, making stretches. These pieces of clay were embarked on boats which arrived at Rio, where they were used for the manufacture of mussels. These molds were used to make real pieces of concrete. But there remained a problem: We had to make the internal structure of the statue, concrete because it was the material that had been chosen. Not knowing how to calculate it (The use of concrete, in architecture, was recent), da Silva Costa brought in another Frenchman, Albert Caquot, engineer of his state, and able to mount this internal structure. Finally, it must be known that the face of Christ the Redeemer was not drawn by Landowski, he made work Gheorghe Leonida, a Romanian sculptor. Learn more about the workers who worked on the statue. Yes, gigantic is the word, but not exceptional! And yes, Christ of Rio is a great statue, but it is far from being among the highest in the world. It measures 38m high, including 8m of base. For example, the Statue of Liberty measures 43m by itself, and it is perched on an even larger base, 46m high! Poor Christ the Redeemer will be very small if put side by side. Moreover, the statue of Liberty, if it is one of the largest statues of the World, is rather small in this classification. In Asia, several statues of Buddha are gigantic. In Ukraine, the "Mother-Fatherland Statue" in Kiev is 62m high, almost double that of Rio! And yet the latter possesses something that the others do not have, a sort of aura due to the choice of the model represented, as well as to its form. With her arms outstretched as a sign of redemption, her eyes lowered towards the city, she reveals a serenity that counteracts the statue of Genghis Khan in Ulan Bator (Mongolia), for example. Only the statues of Buddhas in the Asian countries possess this capacity for meditation, but since they are far from our modes of thought, they impress us less. Learn more about dimensions of the statue. The choice of the location of the statue of Rio is not insignificant of course. 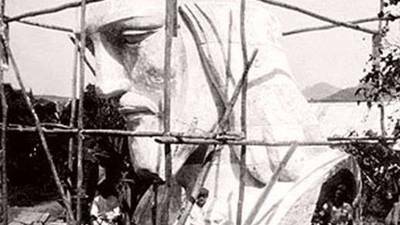 The goal sought by the Brazilian State, sponsored and promoted by the Catholic Church, was that this new statue be visible to as many Cariocas as possible. 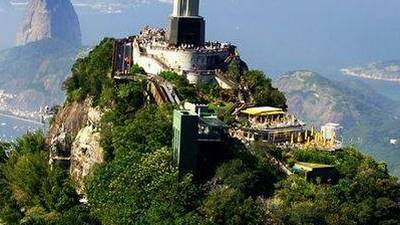 It was then necessary that it should be at the top of one of the numerous hills surrounding the city, and the Corcovado was chosen after hesitation with the Sugar Loaf. This choice was dictated simply by the height of the mountain: 710m high, it was greater than its rival. Moreover, the face that appears of the city is abrupt, it is a cliff, it reinforces the impression of height, and it is in the axis of the sunset, which makes it solar at night. It is for all these reasons that the Corcovado was chosen to welcome the Statue. Learn more about the location of the statue. One of the Seven Wonders of the World! The list of the seven wonders of the world has been known since antiquity, but few can list their memory. On the other hand, that of the Seven New Wonders of the World is easier to remember. 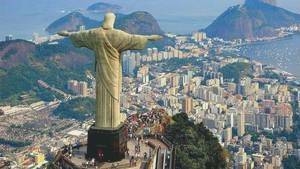 And among her, Christ the Redeemer of Rio holds the 3rd place. The 7 Wonders of the Modern World were nominated following a vote organized by the New Seven Wonders Foundation, a foundation created by Swiss businessman Bernard Weber linked to a private marketing company. It is therefore a private initiative with a mercantile goal which has absolutely nothing to do with Unesco, although it is often credited with the project, but any will to increase the cultural knowledge of the world is favorable, we will not sulk our pleasure. The criteria chosen for the final choice were the aesthetics of course, but also the complexity of implementation in the historical context, that is, the fact that the architects of the time were able to build it despite the limited opportunity they had to do so. Another criterion was the historical interest of the monument. All technical exploits carried out for aesthetic or cultic purposes, such as skyscrapers or hydraulic dams, too recent monuments (the limit was fixed at the year 2000, the latest), were rejected as well as the monuments in a state of disrepair too advanced. Of the 177 files presented, only 21 were retained, for 7 winners. One out of three therefore. The results were promulgated on 7 July 2007 in Lisbon. You have not found what you are looking for ? Go to the many pages of this site, you have the answer to your question: A FAQ? first of all, but also photos, and the information necessary to visit it. Alternatively, you can see other monuments: Eiffel Tower, Statue of Liberty, Taj Mahal, etc.